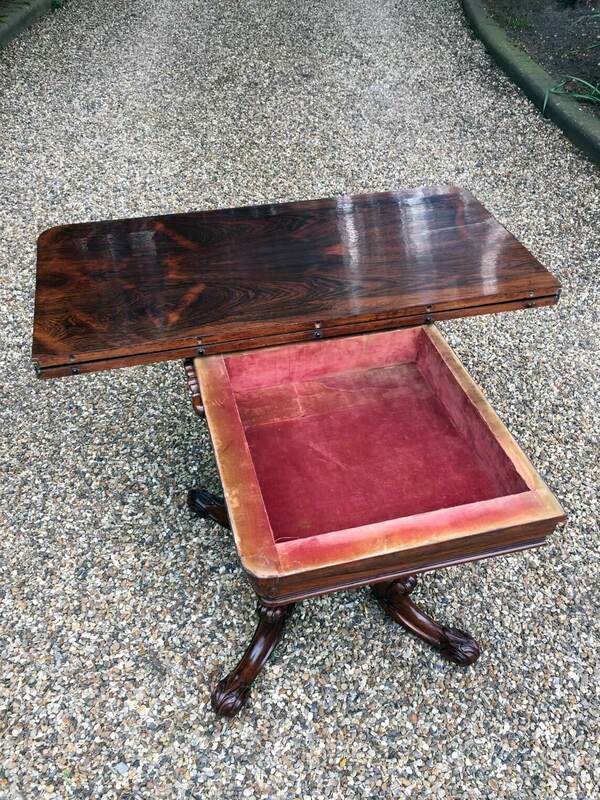 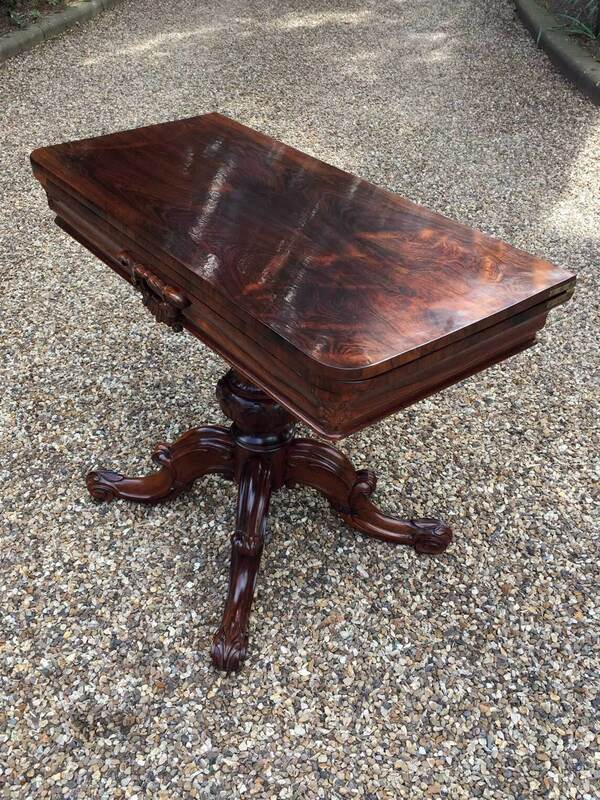 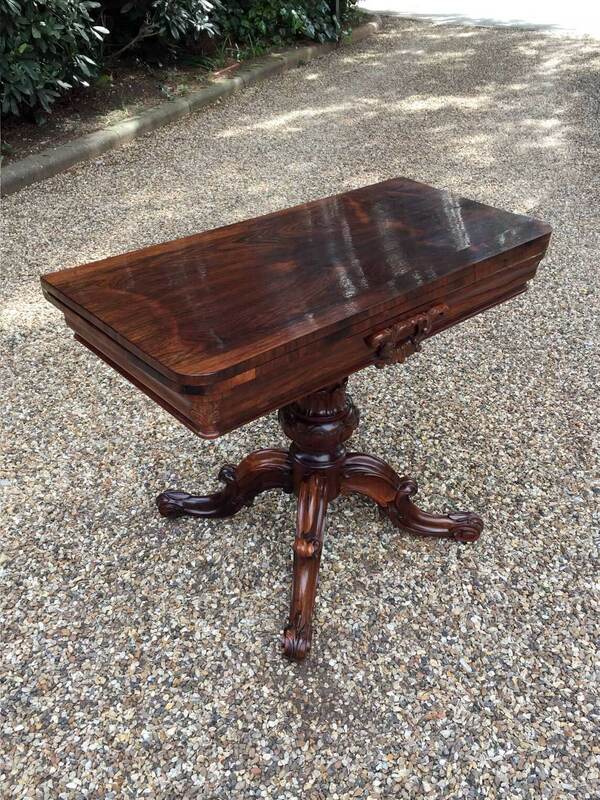 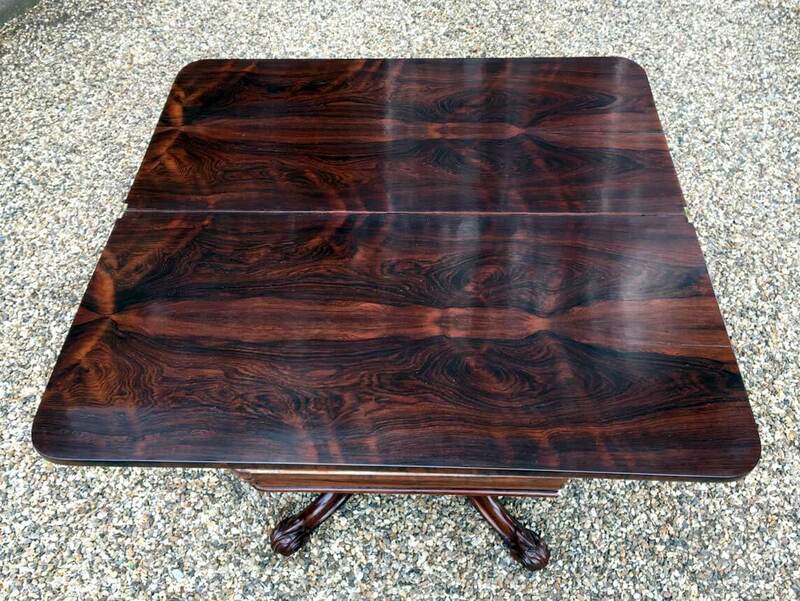 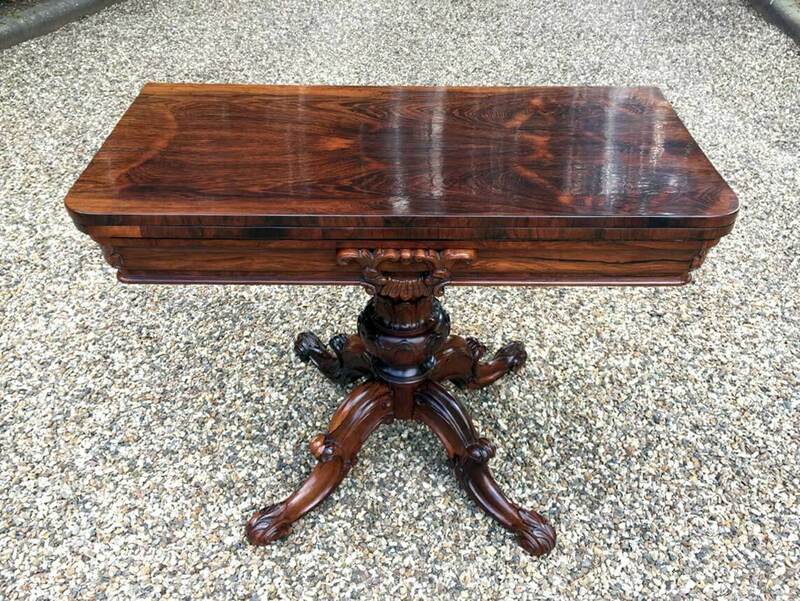 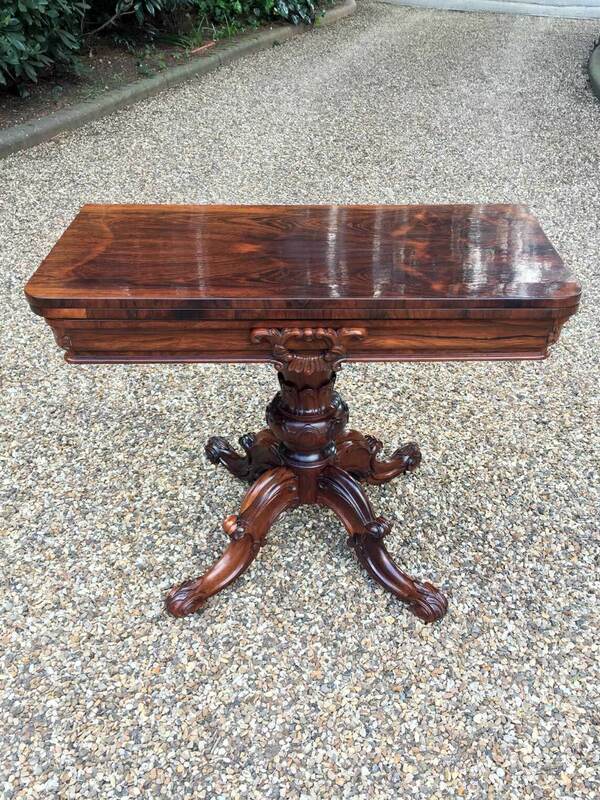 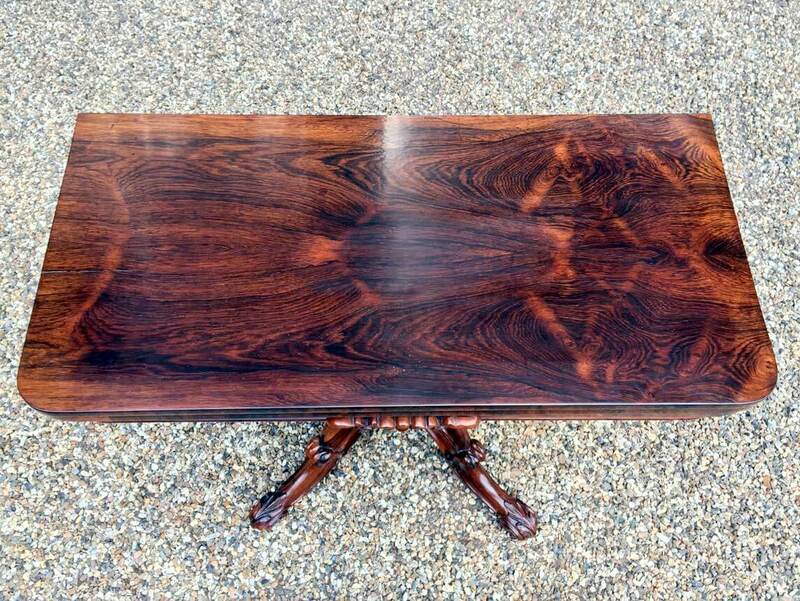 A 19th Century figured William IV Rosewood Tea Table. 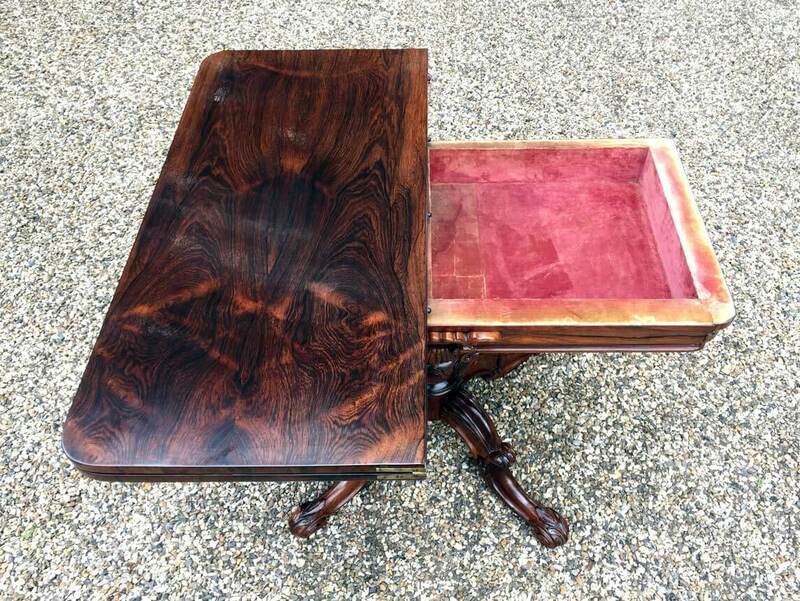 The top rotates by 90 degrees and unfolds to convert a Tea Table. 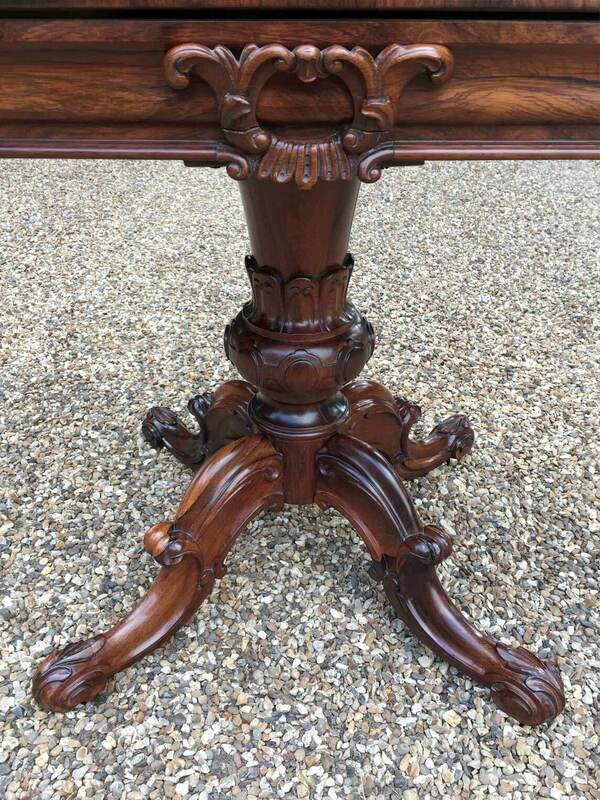 The table stands on an elegant turned central column with four scrolled legs and carved feet with brass castors.